This one was published by Editorial Romà, Barcelona (Spain). 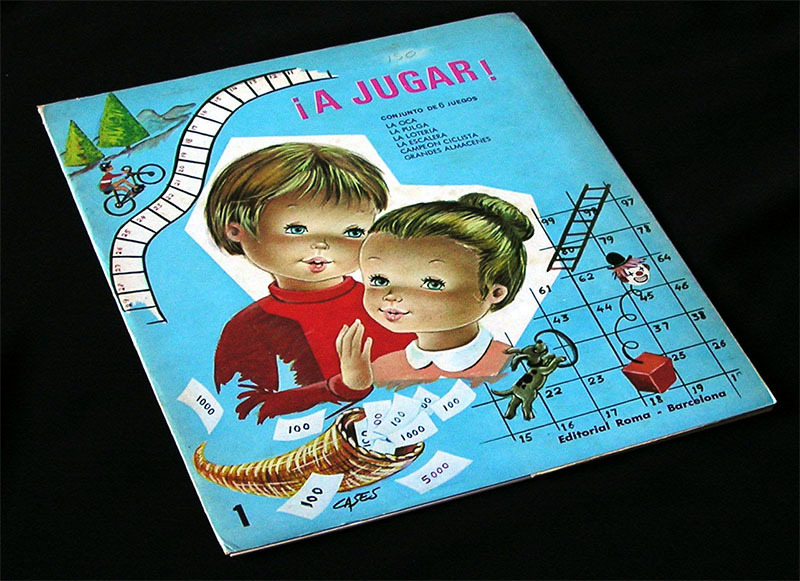 It is a set of 6 simple games printed on cardboard, with a cardboard outer sleeve. Each game measures 27 x 25 cms, including the cut-up area with the counters and dice. 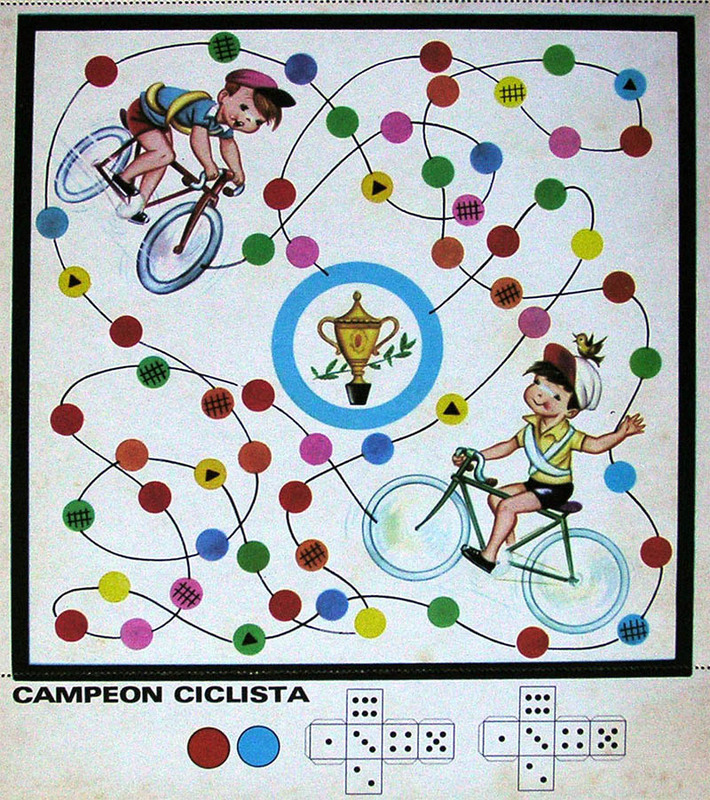 There is at least another similar set by Ediciones Romà with six new games. While the drawing on the sleeve suggests something better, this game is disappointingly simple. However, a very similar game with the same title (also part of a series of games) was published sometime later (well, just a guess). See it here.